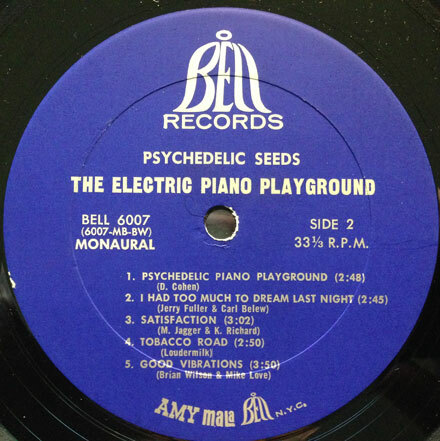 I first heard of the Electric Piano Playground via a post on a message board years ago, and assuming that it featured actual electric piano, I kept my eyes peeled for a copy. 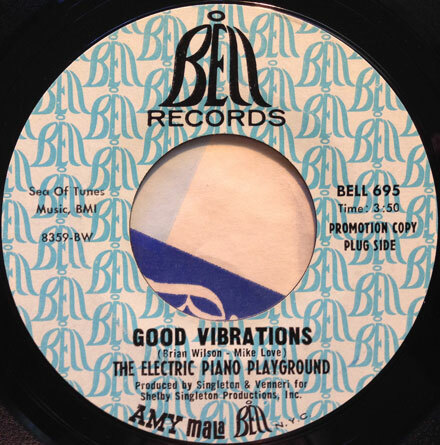 It took me a few years, but I finally tracked it down and was surprised to discover that the ‘electric’ in the title was not as much a descriptor of the piano involved, but more along the lines of mid-60s ‘turned on’ nomenclature, i.e. the piano was “electric”, just not an electric piano, if you follow (I wouldn’t blame you for being confused). What the album is (all of this divined after throwing what little hard info is available into a juicer and seeing what emerged) is a bunch of Nashville studio musicians – under the aegis of producer Shelby Singleton – sinking their teeth into a bunch of contemporary pop and rock tunes (and creating a couple of originals) and doing their exploitative best to give them their own spin. Some of this is, as you might expect, ludicrous and fully square, but contained therein are a couple of really interesting takes on familiar material. The first of these is their version of the Electric Prunes ‘I Had Too Much To Dream Last Night’. 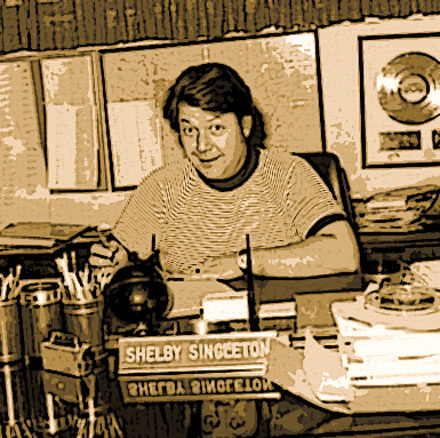 They were not stingy with the studio effects and a couple of electronic keyboards (and guitar effects), and their take on the song – while not nearly as psychedelic as the original – is pretty cool. Someone is hammering away at he piano, while a fuzzed out guitar is running circles in the background, and an organ adds touched here and there. The second cut is their whimsical take on the Beach Boys ‘Good Vibrations’. They stick as close as possible to the source material, and freak out a little bit on the chorus, which is cool. Interestingly, the flipside of the ‘Good Vibrations’ 45 is a reworking of the bluegrass classic ‘Wildwood Flower’ entitled ‘Flower Song’, a track that was also modernized In a much groovier way) by Leon Russell and a bunch of LA studio heads (working under the pseudonym of ‘The Spotlights’) as ‘Dayflower’. All in all it’s an interesting look at Nashville cats working the other side of the tracks. If anyone has more detail on who the players are, please drop me a line in the comments. Their version of I had too much to dream last night was boot legged by Simon Soussan as Serenade by The Sounds Of Lane on Soul Galore SG 2602.